In the US, much fresh produce has come from California. It's now in 100% drought. While precipitation in the northern Sierras is running at 60 percent of normal, the snowpack is sitting at 13 percent of normal in the northern Sierras and 22 percent statewide. It's melting quickly, too, thanks to hotter than normal temperatures. A UK supermarket chain is the first to examine the impact of climate chain on it's produce supply chain. ... the first attempt by a food retailer to put hard figures against the impacts global warming will have on the food it buys from across the world. 95% of the entire fresh produce range sold by Asda is already at risk from climate change, according to a groundbreaking study by the supermarket giant. For now, supermarkets can replace one supplier with others from places not yet devastated by Climate Destabilization. Prices will go up, as countries compete for dwindling supplies. The current map of exceptional drought is much worse. Some communities are going dry. 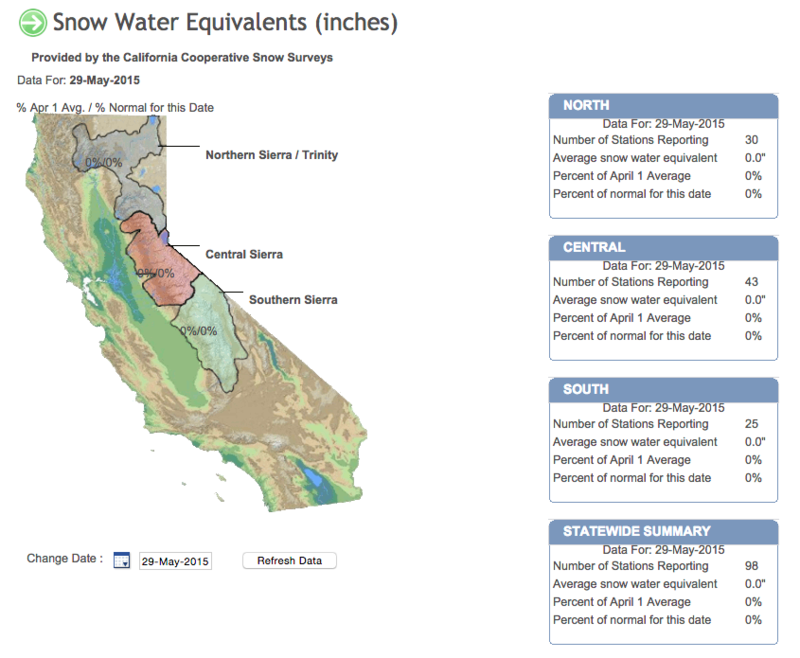 The California snowpack is now at 0% of normal. This drought is biting hard. It is hard to see what can possibly be done to relieve or reverse it. Water shortages have historically been the demise of many civilisations. 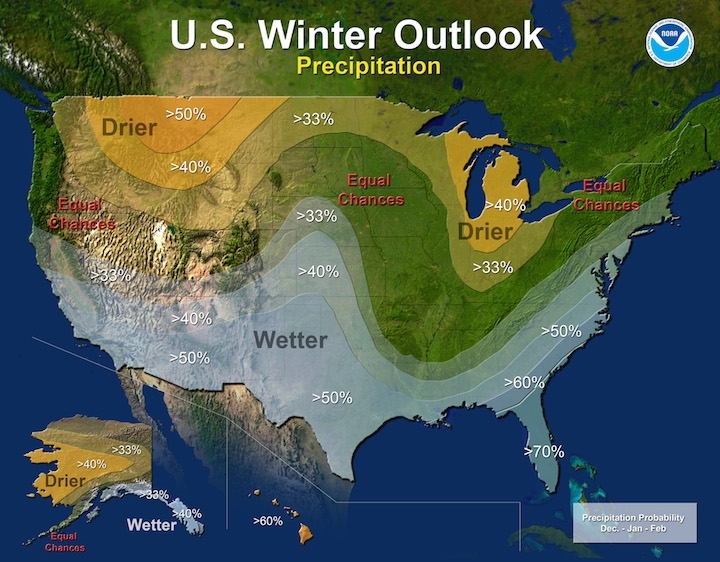 Drought predictions for this Winter in the US from NOAA.